We believe that the baptism of the Holy Ghost, according to Acts 2:4 is given to believers who ask for it. We affirm our faith in Sanctification We believe in the sanctifying power of the Holy Spirit, by whose indwelling, the Christian is enabled to live a holy and separated life in this present world. 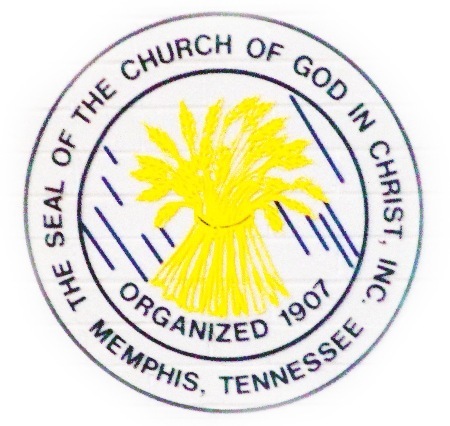 Griffin Memorial COGIC grew out of humble beginnings in the home of the late Superintendent David F. and Supervisor Daisy G. Griffin, in 1946. The Griffin's felt the need to find a suitable place for the saints to worship and began holding service in the Community Building in Ogden; however, they were only allowed to remain in the building until 9:00 PM. The power of the Holy Ghost moved so strongly that the 9:00 PM curfew resulted in lights being turned off before services were over. From this location, the church moved several times until Superintendent Griffin mortgaged his car to purchase land in West Ogden to build a church. 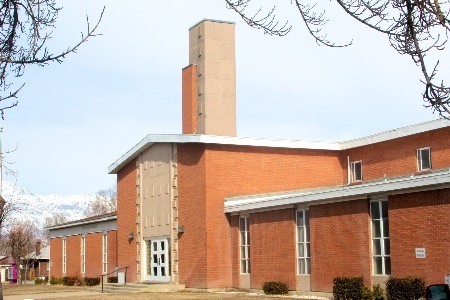 Through the efforts of bake sales and dinners sold in the community, the West Ogden Church of God in Christ was completed and dedicated in 1952. Superintendent Griffin was a man of prayer and a lover of God's people, especially children. The church thrived through the Sunday School, Prayer and Bible Band, and morning and evening prayer, and all-night tarry services. As the years went by, Superintendent Griffin had a desire to move into a building where the elderly wouldn't have to climb up and down stairs to use the facilities. He wanted those with special needs to be able to get around in the house of God and to feel comfortable. He wanted a place large enough to accommodate the saints. Superintendent Griffin would often say, "Lord don't let me die before I finish my work; for no man can finish my work for me." God fulfilled his desires in 1989 when the current edifice was procured at 2424 'E' Avenue in Ogden. The saints marched from the former Griffin Temple COGIC, just a few blocks away, to the new building rejoicing and singing praises to God. A few short months after entering the new building, Superintendent Griffin was called to glory. Bishop Nathaniel Jones, Jr. was the Utah Jurisdictional Prelate at the time, and he became the pastor of Griffin until a new pastor was appointed. During his time as pastor, he renamed the church to Griffin Memorial COGIC. In March 1991, Elder Bobby R. Allen was appointed pastor of Griffin Memorial COGIC. The following year, he was installed by the late Bishop L.H. Ford, as the Prelate for the Utah Jurisdiction Church of God in Christ. Bishop Allen is hand-picked by God to lead the church. He worshipped under our founder in the church's early years and moved throughout Utah and Idaho in ministry for the Lord. He is a prayer warrior, faithful leader, and lover of God's people. Bishop Allen is truly a visionary leader, with a heart of praise and worship. The Griffin Memorial COGIC family is blessed with a rich heritage and strives to bring the message of Christ to the world.